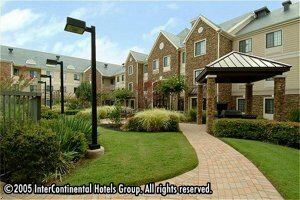 Welcome to the best all suite property in Las Colinas!The Staybridge Suites Dallas Las Colinas is located in the heart of the Dallas/Fort Worth Metroplex. Just minutes from Dallas/Fort Worth Airport, Dallas Trade Center, Dallas Market Center, Dallas Convention Center, and Parkland Hospital. Our all suite hotel features 117 guest rooms with fully equipped kitchens. There are three suite types accommodating up to 8 people comfortably. Other entertainment venues include: Six Flags over Texas and Hurricane Harbor, Lone Star Park, Texas Stadium (home of the Dallas Cowboys), American Airlines Center (home of the Dallas Mavericks), Las Colinas Equestrian Center, Studios of Las Colinas, Grapevine Mills and Galleria Mall.The Staybridge Suites also offers Free Breakfast Buffet, Free Evening Reception (Tues-Thur), Free Transportation with in a five mile radius. The Staybridge Suites courtyard allows you to enjoy the weather while relaxing by the pool, playing a game of basketball with your kids, or barbequing with friends. Staybridge Suites is equipped to accommodate the entire family, including pets. This hotel is committed to providing accessible facilities under the American Disabilities Act. If your accessibility needs are not met, please contact the Hotel Manager on Duty. Should you require additional information regarding accessible facilities for guests with disabilities, please call 1-800-Holiday (U.S. and Canada) or contact the hotel directly. For the hearing impaired, TDD service is available at 1-800-238-5544 within the U.S. and Canada.